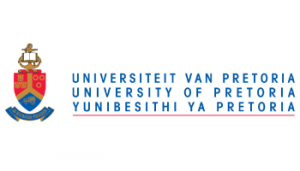 The University of Pretoria reserves the right to amend, without prior notice, the regulations and conditions applicable to the allocation of bursaries and loans. The Funza Lushaka Bursary Programme is a multi-year government bursary programme that promotes teaching in public schools. Bursaries are available to enable eligible students to complete a full teaching qualification in an area of national priority. The bursary is only awarded to South African citizens and applicants for the bursary must already have been accepted into an appropriate study programme at a recognized higher education institution. Applicants also need to meet certain admission criteria of the institution and they must also meet the national selection criteria for the Funza Lushaka bursary. There are various priority areas that qualify for the bursary and in addition to specialising in a priority area, you will also need to specialise in a phase for the B.Ed and PGCE teaching qualifications. Please note that those who already have other teaching qualifications do not qualify for this bursary. Funza Lushaka bursaries cover all the recipient’s essential expenses. Expenses covered include tuition, full accommodation including meals, books and learning materials, and a small allowance for monthly living expenses. Universities have different cost structures, so the total value of a bursary differs from institution to institution. Study loans are available to registered students who are academically deserving and financially needy in terms of the financial means test. Study loans are approved primarily for the payment of tuition fees and are administered accordingly. Loan awards are not guaranteed and are subject tot the availability of funding. Closing date for applications: 31 October. Study loans are available at a special interest rate to full-time undergraduate students who are South African citizens. The loan amount is determined annually in accordance with the cost of study, subject to the maximum loan amount approved by NSFAS. If a loan holder complies with the conditions and passes all the subjects in the final exams of the year, up to 40% of the amount will become a bursary. Awarding of study loans is subject to registered students being financially needy in terms of the financial means test. Applicants must also meet the academic criteria. For NSFAS information click here. Awarding of study loans is subject to registered students being financially needy. Study loans are primarily approved for the payment of tuition fees and will be administered accordingly.To be considered for a UP study loan, applicants must provide two guarantors who comply with the conditions as determined by the University. The loan scheme grant loans to academically deserving and financially needy students to cover the cost of the first installment payable upon registration. Only undergraduate students, who are SA citizens, may apply. Applicants must be financially needy and academically deserving. The Dean of Students will make recommendations on the allocation of the loans within the framework of approved policy. Application forms may be collected from the Client Service Centre, UP Main Campus, during the registration period only.Applications close on the final date for registration for the particular academic year. Study loans are available to registered students who have been employed permanently for more than one year or whose parents have been employed permanently for more than one year.